Charleston, South Carolina Inshore Fishing Charters with Capt. Jamie Hough. Over 22 years of experience! Military Discounts Available. 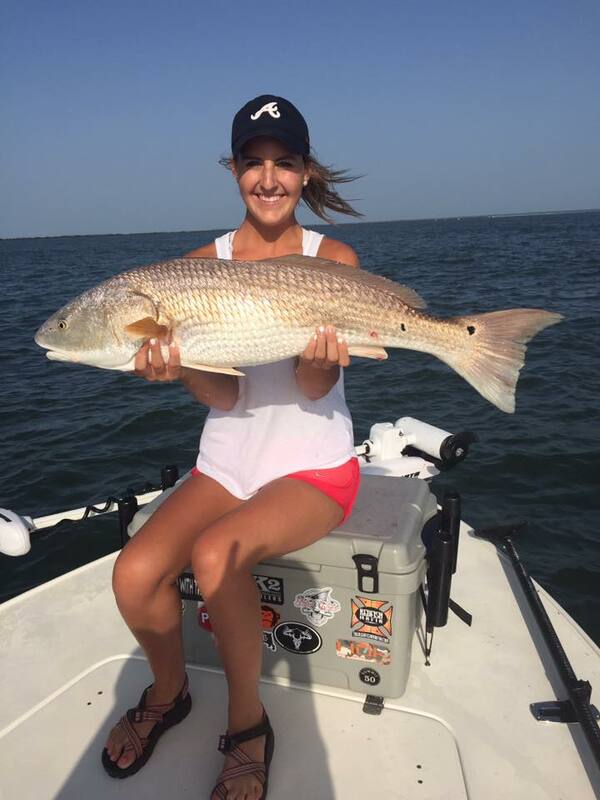 GUARANTEED FISH OR NEXT TRIP IS FREE! Join us on the coast and inland marshes of SC for a day of Charleston inshore flats fishing that you'll never forget! 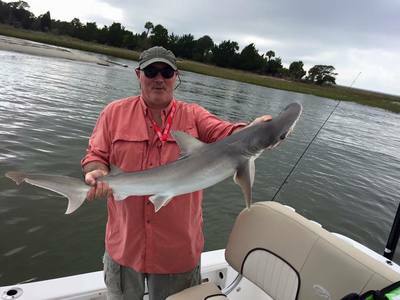 Come see the lowcountry and catch some redfish, trout, flounder, jacks, sharks, tarpon, and more. 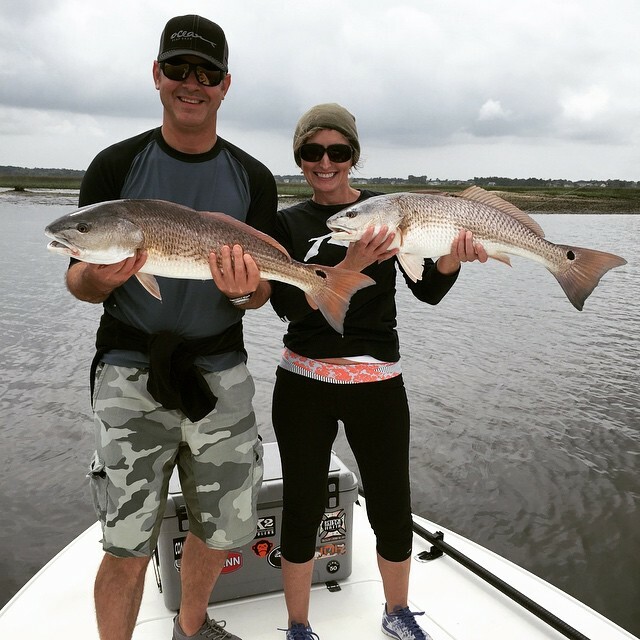 We offer Inshore Fly Fishing or Light Tackle Fishing Charters for as many people as you may need. Multiple boats available. 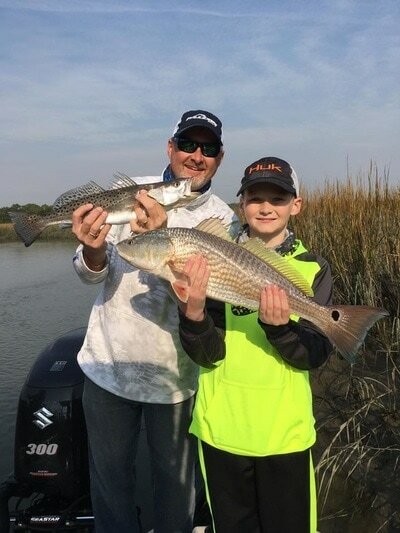 "Captain Jamie was patient with my children and made sure we all had a memorable experience." -Sandra W.
I had a great time with my brother while visiting Charleston! We already booked our trip for next year!." 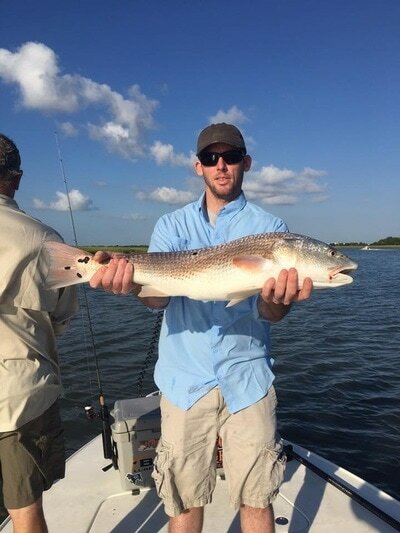 -Tim L.
"We caught some monster redfish during our charter with Capt. Jamie! He knew the area well and we had a lot of fun." -Mark S.
Located in Mt. 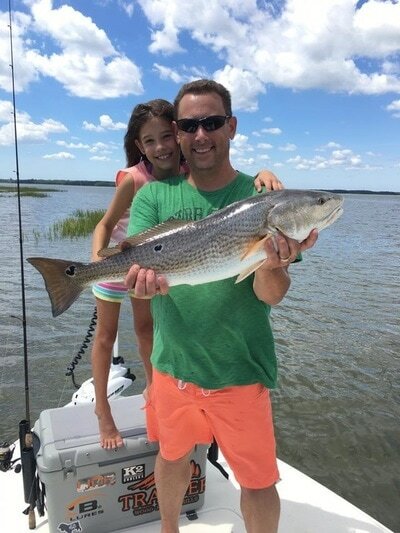 Pleasant, SC, we are available for charters from Hilton Head to Little River, SC. 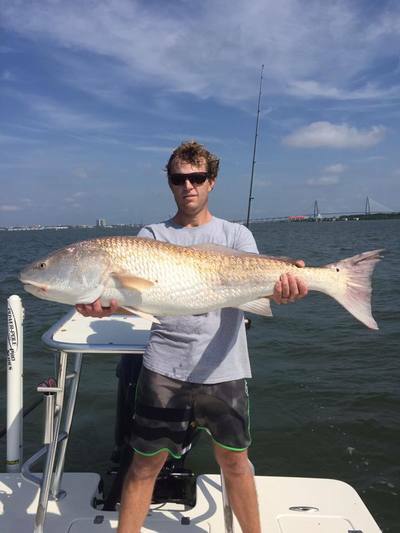 Come fish with a proven tournament winner, Redfish Mafia Charters! Make sure and watch Discovery Channel's Destination America on Saturday mornings to catch Capt. Jamie Hough in tournament action on the Yellowfin Elite Series! Light tackle and fly fishing for Redfish, Trout, Flounder, Tarpon, Sharks, and Jacks. 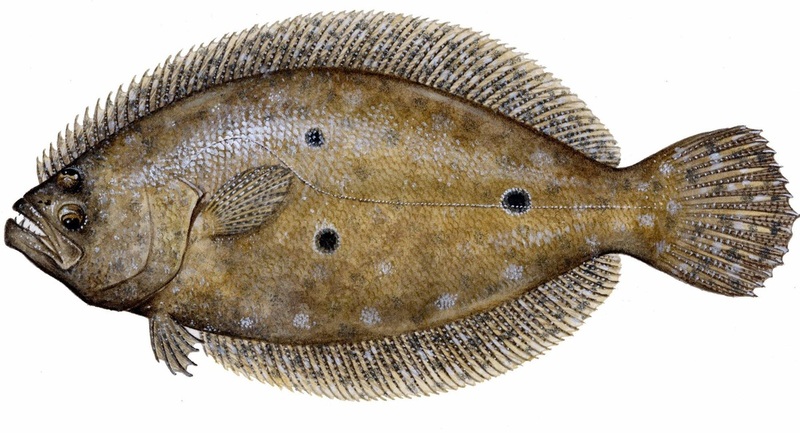 Guaranteed fish or you go again for free! Had some great fishing in the past week. Great clients too! 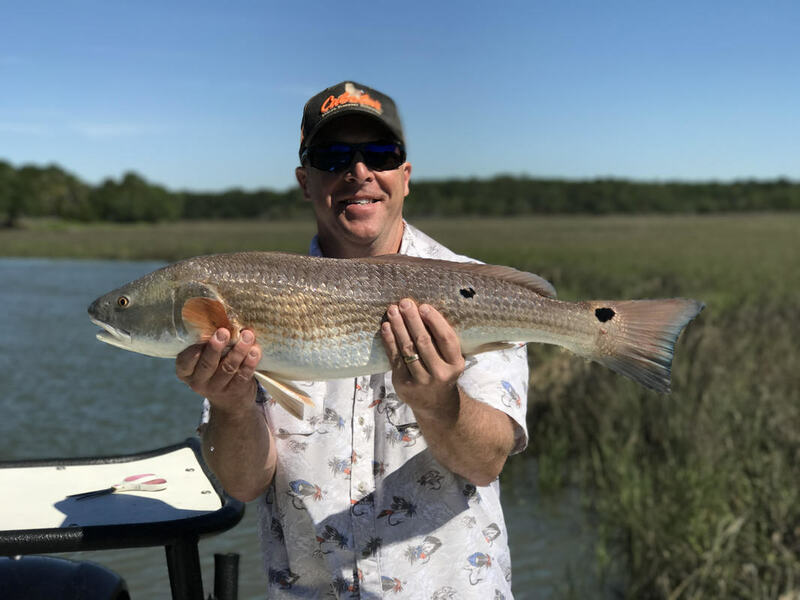 The Trout bite was on fire until yesterday when the when switched to East. Short front coming through today and everything will be back to normal tomorrow. The Redfish have been mixed in with them too. Contact Capt. 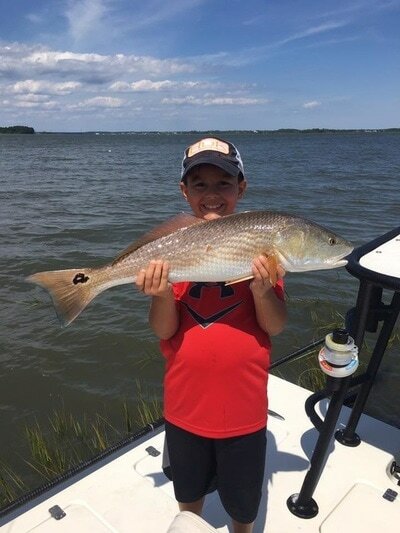 Jamie about planning your fishing adventure!